This may have been one of the neatest weddings I have ever been to. I am all bout the non traditional, and by that I mean being true to who and what you are. These two did that perfectly! 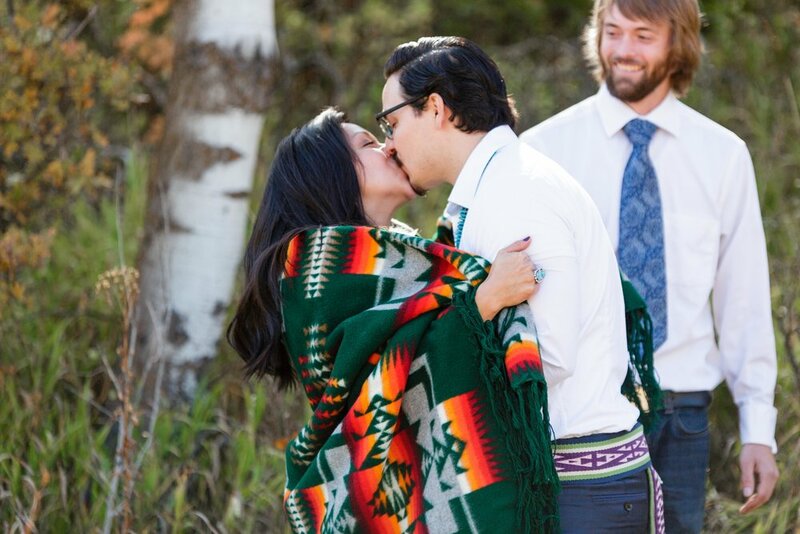 They had a very small ceremony just off the Old Snowbasin road in Utah. 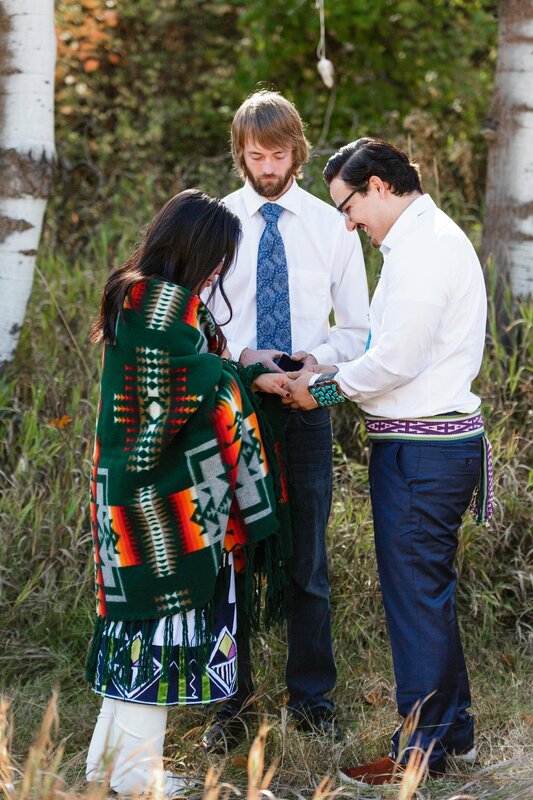 It was a ceremony at about 10 am so the weather and light were amazing! 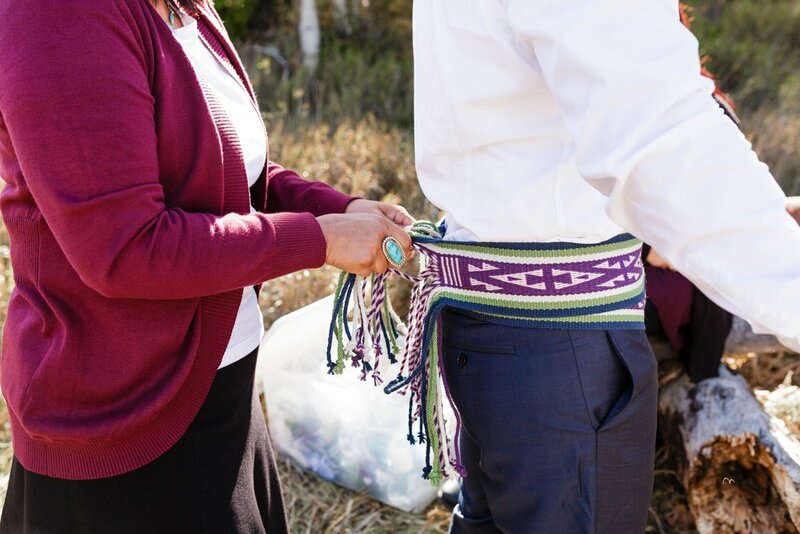 The Grooms mom was handing out prayer feathers to friends and family as they arrived at the location. 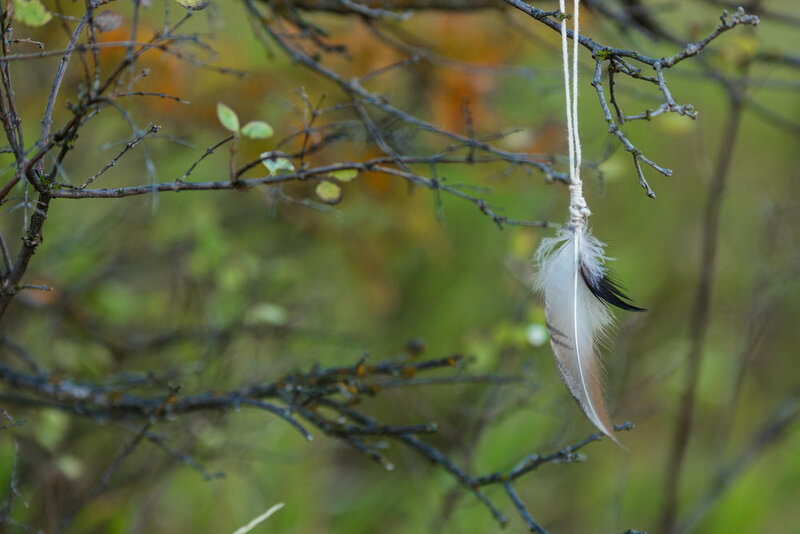 The prayer feather is a tradition to which you say a little prayer on the feather for the couple and then it is tied in the trees to bless the couple's future. I totally cried when they read their vows to each other. The whole thing was planned and done exclusively by close friends and family. 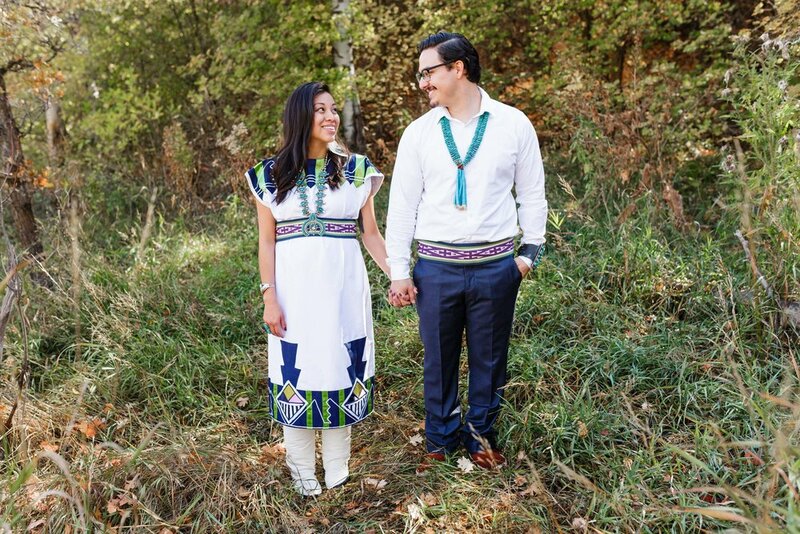 They wore traditional tribal wedding wear for the whole day. 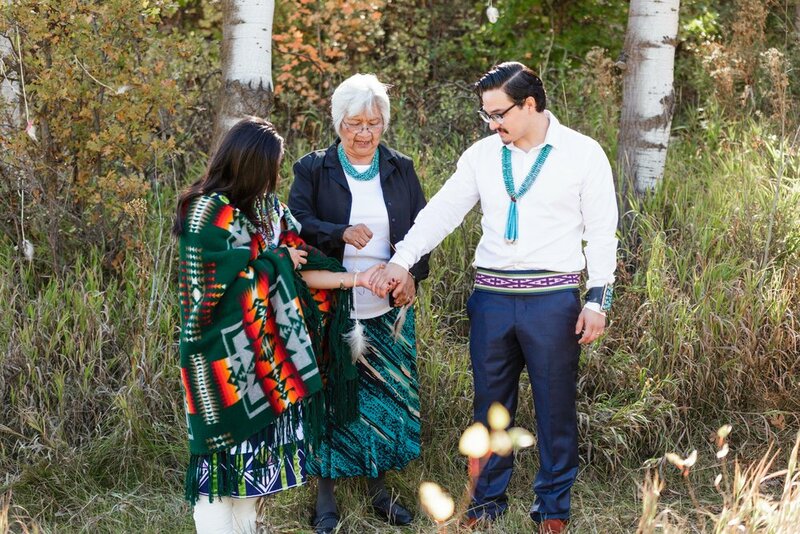 They even had Grandma help with the eagle feather ceremony and water vase tradition. 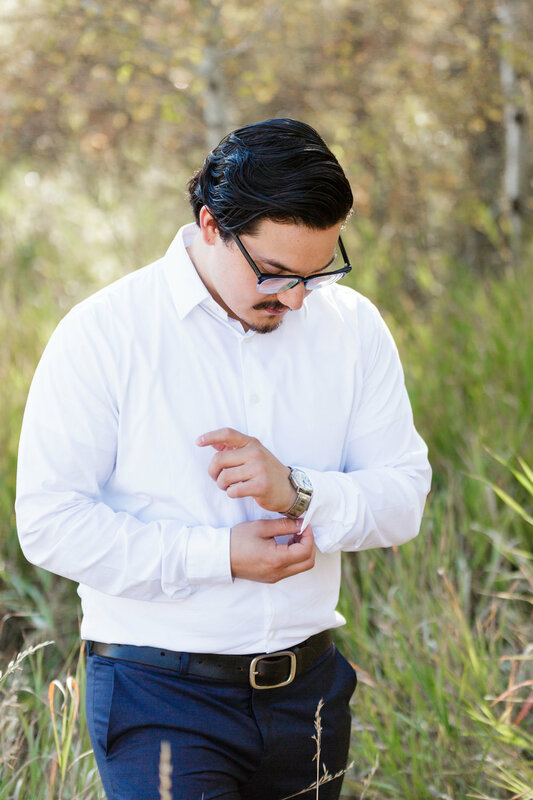 The grooms friend was the officiant. They also had a friend play a harp and cello for the ceremony. 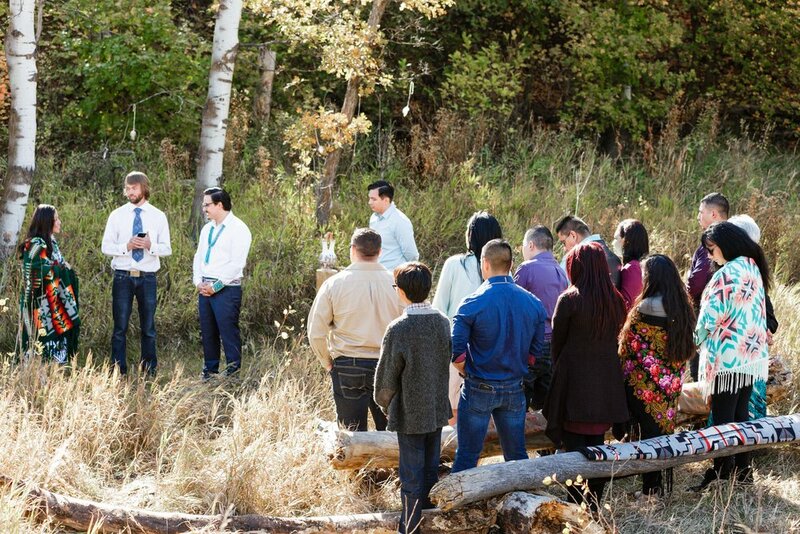 It was really neat to be on the Mountainside in the morning and hear a harp echoing through the hills :) The brides family provided the doughnuts coffee/hot chocolate for the ceremony. It makes me so happy to see couples make their day about who they are and who they want to become together! After the Ceremony they headed to the old Opera House in Morgan Utah for a luncheon which was followed by a small Reception in Hooper Utah that evening. It was held at the park pavilion in town. 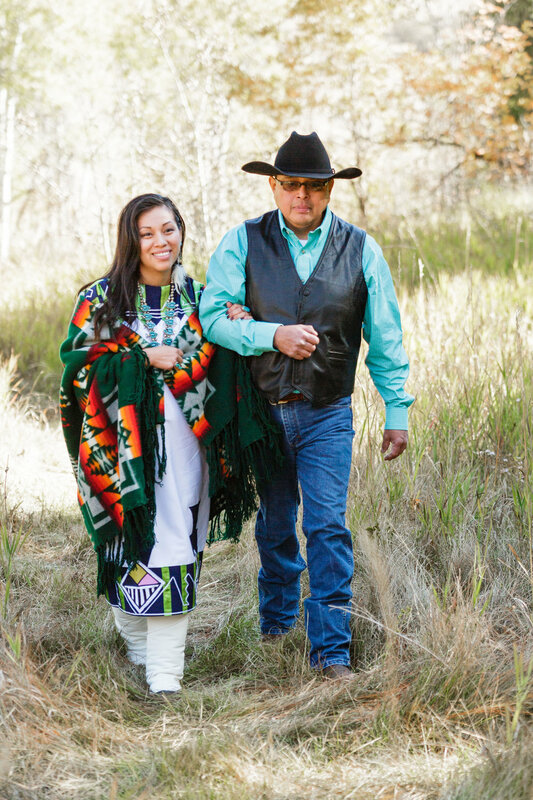 The Grooms family did decorations that held true to who they are. The cake was done by a neighborhood friend, and it turned out beautifully. 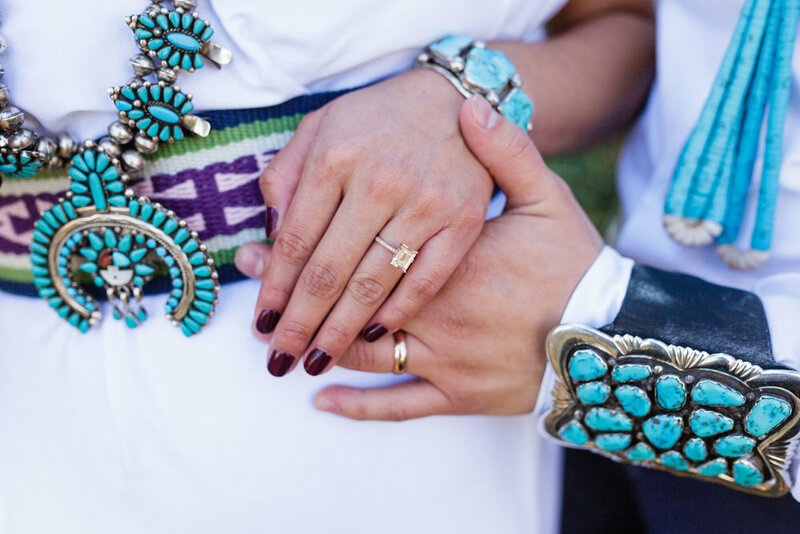 They provided the reception guests with authentic Navajo Tacos and other traditional breads and soups, as well as an assortment of flavored popcorns. The evening was full of smiles, food and dancing and I for one, am so glad I was able to be a part of it!